See what your favorite celebrity parents and their families are up to this week – Jillian Michaels and more! Above is Ariane Bellamar, one of the stars of the newest hit reality show “Beverly Hills Nannies”. Ariane, her husband Barry Pettitt and their daughter Emma were spotted out on the beach in Malibu. Expectant actress Anna Faris was snapped leaving a waxing salon earlier this week. Celebrity stylist Rachel Zoe and her son Skyler grabbed some lunch together. 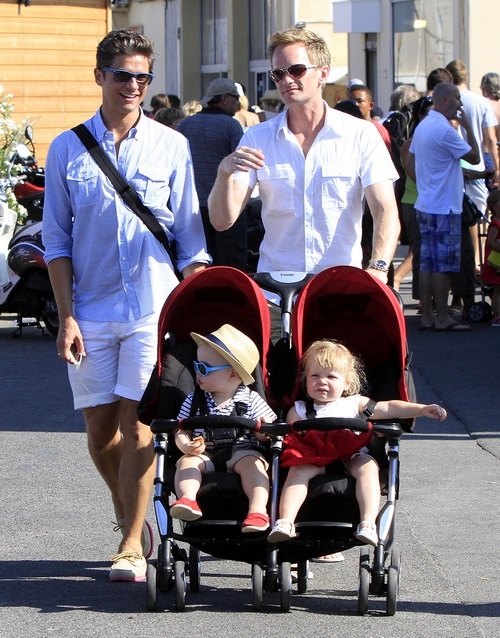 Neil Patrick Harris and David Burtka are enjoying a long vacation in St. Tropez with their twins, Harper and Gideon. Celebrity trainer Jillian Michaels poses with her children, Lukensia and Phoenix, at a celebration for her new Shape magazine cover and her new Bodyshred workout.